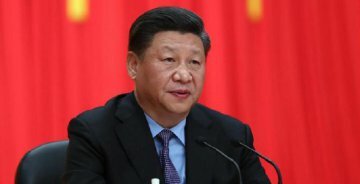 In response to the global technology competition led by artificial intelligence (AI), China issued a plan on the development of AI. The State Council said in the circular on issuing the new generation of AI development plan that China should deploy major new generation AI projects in advance. By 2030 China's artificial intelligence industry should reach the international advanced level. Core AI industries should exceed a scale of over 1 trillion yuan, driving related industries to exceed more than 10 trillion yuan. Respondents in the industry generally believe that with a large population base and rapid development mobile Internet development, China enjoys great advantages in data resources. In addition, with a variety of commercialized application sciences, China will make more breakthroughs in AI application. But in the aspect of basic algorithm and theoretical research, China still lags behind the US which has conducted researches on AI earlier than China. The plan proposed that the county should input more into basic research, bringing many expectations to the industry. More and more Chinese enterprises have invested in AI research and exploration since 2016. Baidu, Alibaba and Netease set up their own AI laboratory. However, China's AI development still lags behind. 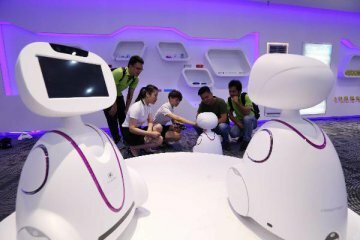 Therefore, the plan pointed out current problems in China’s AI industry, and proposed a clear timetable and roadmap for the industry. The plan clearly points out problems existing in China's AI industry. There is still a gap between China and developed countries in AI development, including the lack of major original results, and a large gap in basic theory, core algorithm, key equipment, high-end chips, major products and systems, basic materials, components, software and interface. The scientific research institutions and enterprises have not yet formed an ecological circle and industrial chain with international influence. There is no systematic and advanced arrangement for AI research and development. Cutting-edge AI talents are falling far short of demand. The infrastructure, policies, regulations and standard system that can adapt to AI development urgently needs to be improved. 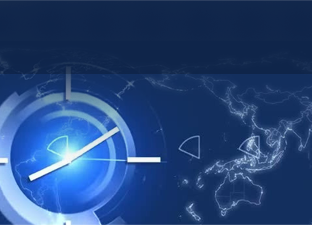 The plan comes up with six tasks, including establishing an open and collaborative AI technology innovation system, cultivating high-end and efficient intelligent economy, building a safe, convenient and intelligent society, strengthen civil-military integration in AI field, building an extensive, safe, efficient, intelligent infrastructure system and making advanced layout of new generation AI projects. As for how to develop AI, the plan gives a detailed timetable and road map. It will take three steps. The first step is to reach the world advanced level in AI technology and application by 2020. China should establish a AI technology standard, service system and industrial ecological chain and cultivate a number of the world's leading AI enterprises. Core AI industries should exceed a scale of over 150 billion yuan, driving related industries to exceed more than 1 trillion yuan. The second step is to achieve major breakthroughs in AI basic theories by 2025. The new generation AI can be widely applied in intelligent manufacturing, intelligent medical, intelligent city, intelligent agriculture, national defense and other fields. Core AI industries should exceed a scale of over 400 billion yuan, driving related industries to exceed more than 5 trillion yuan. Baidu Financial Service Group chief scientist Ding Lei told the 21st Century Business Herald that the most important thing to actively use AI is to combine it with other industries. AI will boost the healthy and efficient development of industries. The methodology that has formed in the fields of manufacturing, agriculture, finance, health care and education for decades or even hundreds of years is deep-rooted, and has become a stereotype before big data and AI technology emerged. Therefore, in this view, it is difficult to make use of AI to boost the innovation and upgrading of industries. The third step is to reach the world's leading level in AI theory, technology and application by 2030. Core AI industries should exceed a scale of over 1 trillion yuan, driving related industries to exceed more than 10 trillion yuan. How large will the AI industry be? Liang Yali, general manager of Intel's Industry Solutions Group China, said that in 2020, 50 percent of the world’s top 2,000 enterprises will rely on their own ability to provide digitized products, services and experiences. The industry scale and social value of AI are comparable to the agricultural revolution, industrial revolution and digital revolution. This will be the best age for AI. Meanwhile, it will face the greatest challenges. Ding Lei said that in the next few years, if industrial policies can actively guide industries to embrace changes brought by AI, and absorb and integrate these changes, it will greatly promote the development of industries. The US made AI a research subject at the beginning of 1950s; while China is a late starter. Earlier this year, the New York Times published an article “China Gains on the U.S. in the Artificial Intelligence Arms Race”. It compared the AI technology in China and the US, and raised AI technology to a national security strategy level. 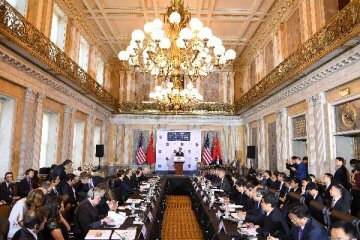 It noted that as China’s AI technology rises, the US is losings its monopolistic advantage in technology. Ding Lei now works in Baidu to study the application of AI in the financial sector after years of working experience in Paypal. He obtained a Phd in AI in the US. Ding told the 21st Century Business Herald that the US has made layout in AI theory and basic research for years, and takes lead in AI technology. And China's advantage lies in its huge data resources and some commercialized application scenes. China is also catching quickly in AI technology. When interviewing the Meituan Open Services and Intel about their strategic cooperation in AI in China, the 21st Century Business Herald reporter found that China’s Internet enterprises, with advantage in business data, are attracting well-known foreign technology companies to participate in the AI development in China. Greg Pearson, senior vice president of Intel and general manager of Intel Sales and Marketing Business Department, said that the reason behind the frenzy in AI this year is the rapid development of big data in recent years. But big data does not only mean a large number of data. It needs to interpret and screen data before applying it into actual situation. Meituan has a large number of consumer data which can combine with Intel's technology. Chinese Internet large data analysis products and services provider Analysys CTO Guo Wei told the 21st Century Business Herald that China has advantages on both mobile Internet data and talent reserves. Besides, China develops faster than the US in the commercialized application of AI, and it is likely to make more breakthroughs in AI application. If China further increases input in basic theory and high-end talents, China is expected to overtake the US in AI technology. Ding Lei said that the capital circle should respect the law of the industry. The AI technology itself cannot bring a new system. It has to combine with industry to help industry upgrading.